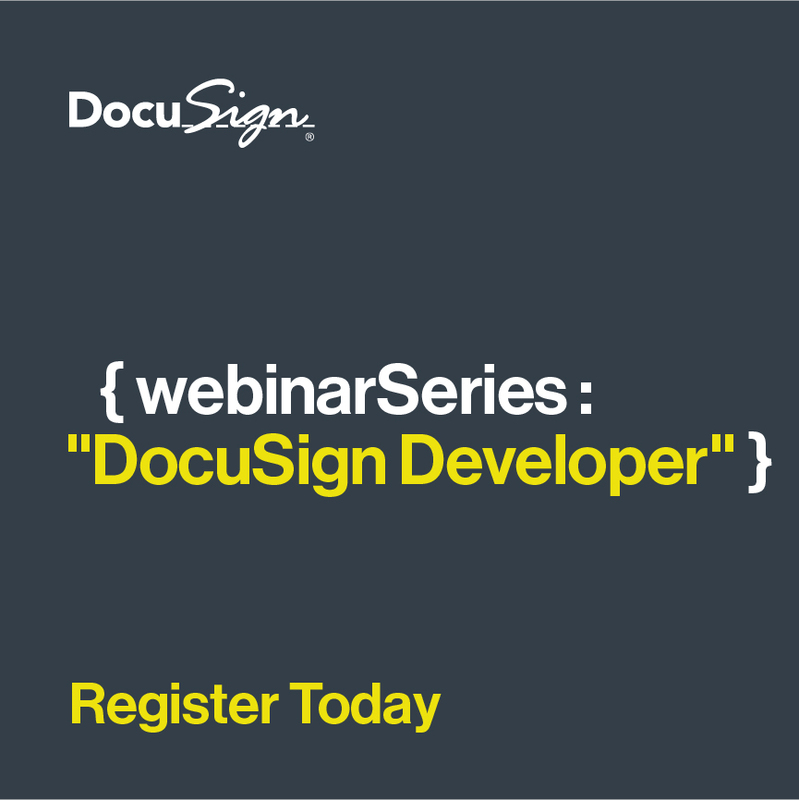 If you have questions about the DocuSign eSignature API, then we have the event for you. Join us for a live Q&A session with some of our API experts, where you'll learn how to leverage our developer platform and begin integrating with the DocuSign APIs (or with one of our popular SDKs). Next, we'll open it up for Q&A and have our API and SDK experts on-hand to answer all of your technical questions, including (but definitely not limited to): authentication, go-live process, best practices, developer resources, and more. *Please use your Developer Sandbox email when registering for this event.